PULZAR LS GEAR MAX multipurpose gear lubricant features excellent limited slip capabilities, designed specifically for high performance automotive differentials and manual transmissions requiring API Service GL-5 and MT-1 lubricants. PULZAR LS GEAR MAX multi-grade automotive gear lubricants provide excellent low temperature fluidity to lubricate the pinion-drive bearing channel, even during very low temperature start-up. During extremely hot operating conditions, it provides excellent thermal oxidation stability and corrosion resistance. 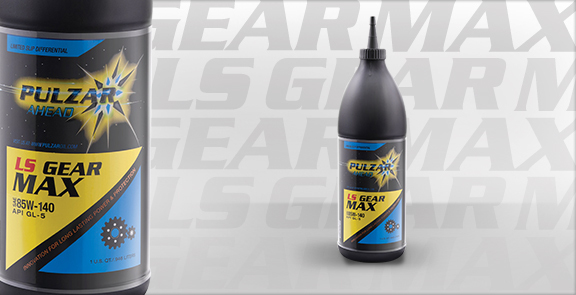 Manufactured from select highly-refined base oils, blended with premium automotive gear oil additives and fortified with variety of special additives, PULZAR LS GEAR MAX is also contains extreme pressure agents that protect against shock loading and wear. Special anti-foam additives protect against oil aeration, which can rupture the lubricant film and cause premature wear. Rust inhibitors protect against corrosion that can result from condensation. The premium anti-oxidants help extend the oil service life, provide excellent gear protection, and improve fuel economy. PULZAR LS GEAR MAX is recommended for use in automotive and commercial differentials, manual transmissions and industrial gear units where API Service GL-5 or MT-1 is specified. It is available in two viscosity grades: SAE 80W-90 and SAE 85W-140. Always refer to OEM recommendation for the correct viscosity grade. SAE 80W-90 meets also MIL-PRE-2105D and Mack Specifications GO-F, GO-G and GO-H. It is also recommended for BMW final drives requiring limited slip performance properties. PULZAR LS GEAR MAX is fully formulated for all limited slip differentials and may be used as a makeup or refill fluid even for rebuilt limited slip units. They are truly engineered for all high performance hypoid axles of sports and racing cars. Note: Do not top-treat limited slip agents or supplemental friction modifiers as they may detract from product performance.